Atlanta Nights has been mentioned on PRWeb! To test a publisher's selectivity, a group of writers collaborated on a book. Their goal: Make it stink. From the Atlanta Nights Afterword . . .
How this book came to be: You can blame it on "traditional publisher" PublishAmerica. Travis Tea is the pseudonym for a group of (mostly) science fiction and fantasy authors who were amused by PublishAmerica's claim (at their authorsmarket.net site) that science fiction and fantasy authors are "writers who erroneously believe that SciFi, because it is set in a distant future, does not require believable storylines, or that Fantasy, because it is set in conditions that have never existed, does not need believable every-day characters." It seems that PublishAmerica has a mad on at science fiction writers: "...science-fiction and fantasy writers have it easier. It's unfair, but such is life. As a rule of thumb, the quality bar for sci-fi and fantasy is a lot lower than for all other fiction. Therefore, beware of published authors who are self-crowned writing experts. When they tell you what to do and not to do in getting your book published, always first ask them what genre they write. If it's sci-fi or fantasy, run. They have no clue about what it is to write real-life stories, and how to find them a home." PublishAmerica, the self-described "traditional publisher" located in Frederick, Maryland, says of its own operation, "Each day, an average 78 new authors who are looking to find a book publishing company ask us to publish their book. We review not only the quality but also the genre of their work.... Like all serious book publishing companies we have to be picky as we can only accept the works that meet our requirements in both areas." So a group of science fiction writers (inept practitioners of an undemanding art, if PublishAmerica were to be believed) set out to see what kind of "quality" PublishAmerica required  how believable the characters needed to be and how believable the storyline had to be. PublishAmerica said they were "picky"? People who'd read PublishAmerica books suspected that the fine folks in Frederick didn't edit their titles (despite their claim to do so "line-by-line") and perhaps didn't even read their submissions before offering a contract. Okay, fine  we'd see. I organized the project, with the knowledge and blessing of Ann Crispin, head of the Science Fiction and Fantasy Writers of America's Writing Scams Committee. The writers who volunteered to write a chapter or two were given minimal outlines, a couple of characters with sketchy descriptions, and asked to write badly. Which characters went in which chapter was determined by rolling dice. No writer knew the overall plot, such as it was. None of them knew if their chapter was going to be first, last, or somewhere else. None knew what the genre was, other than that it was set in the modern day. The chapters came in. A few writers failed to meet the (admittedly very short) deadline. No problem. I left the chapter out, or reused a chapter from another part of the book, and in one case filled in the missing chapter with machine-generated word hash. Some people suspected that PublishAmerica didn't even read the submissions that came their way before offering a contract. Cool. We were going to find out. I presume, if you've made it this far, that you've read Atlanta Nights. Pretty nasty, right? The text, just as you've read it, was taken by a brave volunteer and submitted to PublishAmerica under his own name. As this is an important piece of email regarding your book, please read it completely from start to finish. I am happy to inform you that PublishAmerica has decided to give "Atlanta Nights" the chance it deserves. An email will follow this one with the sample contract attached for your review. If you do not receive the email with the attached sample contract in twenty-four hours, please contact me, so I can resend the document via another method. I will be happy to answer any questions you may have concerning the contract and to guide you through the contract negotiations phase. Please note that once you have requested that we send the official contract, we cannot further amend the contract. Upon receiving your e-mail in acceptance with the terms, we will forward the final contract documents to you via regular mail for your signature. Along with your e-mail acceptance please include your legal name, current address, telephone number and title of work as you would like it to appear on the final contract. The main terms of the contract are that we will pay you climbing royalties starting at 8%, you retain the copyright, and we will begin production on the book within 365 days of the date we receive the signed contract. A symbolic $1 advance underlines that all financial risk is carried by the Publisher, as we firmly believe it should be. Once the signed contract has been processed in our offices, you will be contacted by our Production oftlinedepartment regarding "the next step" for your book in the publishing process. After both parties have signed the contract, you will be contacted by our production department with a list of questions and suggestions. Please feel free to e-mail any concerns or questions dealing with the terms of the contract to meg@publishamerica.com. Also, please visit our web site at http://www.publishamerica.com/. Welcome to PublishAmerica, and congratulations on what promises to be an exciting time ahead. O happy day! We were going to be published authors! PublishAmerica certainly had an interesting take on what constituted "quality," but who were we to complain? The fact that these "picky" people had accepted our manuscript validated our worth as writers! We did too know what it is to write believeable characters in believable stories set in the real world! We didn't have to keep on writing science fiction and fantasy... they were going to give us a chance! We passed the manuscript, the acceptance letter, and the sample contract over to a lawyer, to look them over. He advised that no one sign that contract. We must withdraw our offer to publish Atlanta Nights. Upon further review it appears that your work is not ready to be published. There are portions of nonsensical text in the manuscript that were caught by our editing staff as they previewed the text for editing time assessment pending your acceptance of our offer. On the positive side, maybe you want to consider contracting the book with a vanity publisher such as iUniverse or Author House. They will certainly publish your book at a fee. Nonsensical text? Say it ain't so! "Atlanta Nights," by Travis Tea, was offered a publishing contract by PublishAmerica of Frederick, Maryland. Washington, DC (PRWEB) January 28, 2005 -- Over a holiday weekend last year, some thirty-odd science fiction writers banged out a chapter or two apiece of "Atlanta Nights," a novel about hot times in Atlanta high society. Their objective: to write a deeply awful novel to submit to PublishAmerica, a self-described "traditional publisher" located in Frederick, Maryland. The project began after PublishAmerica posted an attack on science fiction authors at one of its websites (http://www.authorsmarket.net/). PublishAmerica claimed "As a rule of thumb, the quality bar for sci-fi and fantasy is a lot lower than for all other fiction.... [Science fiction authors] have no clue about what it is to write real-life stories, and how to find them a home." It described them as "writers who erroneously believe that SciFi, because it is set in a distant future, does not require believable storylines, or that Fantasy, because it is set in conditions that have never existed, does not need believable every-day characters." The writers wanted to see where PublishAmerica puts its own quality bar; if the publisher really is selective, as the company claims, or if it is a vanity press that will accept almost anything, as publishing professionals assert. Atlanta Nights was completed, any sign of literary competence was blue-penciled, and the resulting manuscript was submitted. As this is an important piece of email regarding your book, please read it completely from start to finish. 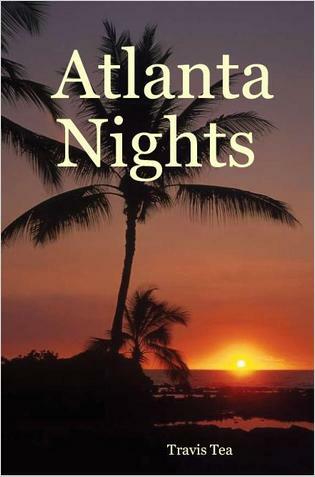 I am happy to inform you that PublishAmerica has decided to give "Atlanta Nights" the chance it deserves....Welcome to PublishAmerica, and congratulations on what promises to be an exciting time ahead. 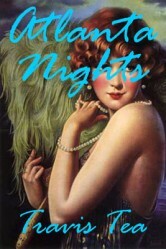 We must withdraw our offer to publish "Atlanta Nights". Upon further review it appears that your work is not ready to be published. There are portions of nonsensical text in the manuscript that were caught by our editing staff as they previewed the text for editing time assessment pending your acceptance of our offer. Publication at Lulu.com is free. And that, friends, is the story of how the book you're holding in your hands came to be. All profits from the sale of Atlanta Nights will go to the Science Fiction and Fantasy Writers of America Emergency Medical Fund.